GAS BOILING PANS There are 7 products. Gas Boiling Pan with capacity of 80 litres, indirect heat. Heat in this boiling pan is created by high pressure steam generated in installed evaporator inside. As a result, steam is heating up the whole volume of the boiler not just a bottom. This technique makes our boiling pans perfect for cooking jams, soups, chutneys or just simply water. Reaching the boiling point - 80-90min. Gas Boiling Pan with capacity of 100 litres, indirect heat. Heat in this boiling pan is created by high pressure steam generated in installed evaporator inside. As a result, steam is heating up the whole volume of the boiler not just a bottom. This technique makes our boiling pans perfect for cooking jams, soups, chutneys or just simply water. Reaching the boiling point - 80-90min. Gas Boiling Pan with capacity of 150 litres, indirect heat. Heat in this boiling pan is created by high pressure steam generated in installed evaporator inside. As a result, steam is heating up the whole volume of the boiler not just a bottom. This technique makes our boiling pans perfect for cooking jams, soups, chutneys or just simply water. Reaching the boiling point - 80-90min. 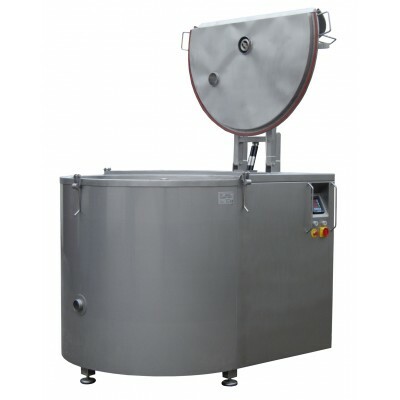 Gas Boiling Pan with capacity of 200 litres, indirect heat. Heat in this boiling pan is created by high pressure steam generated in installed evaporator inside. As a result, steam is heating up the whole volume of the boiler not just a bottom. This technique makes our boiling pans perfect for cooking jams, soups, chutneys or just simply water. Reaching the boiling point - 80-90min. 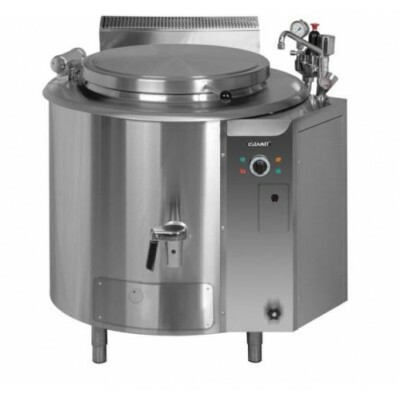 Gas Boiling Pan with capacity of 250 litres, indirect heat. Heat in this boiling pan is created by high pressure steam generated in installed evaporator inside. As a result, steam is heating up the whole volume of the boiler not just a bottom. This technique makes our boiling pans perfect for cooking jams, soups, chutneys or just simply water. Reaching the boiling point - 80-90min. 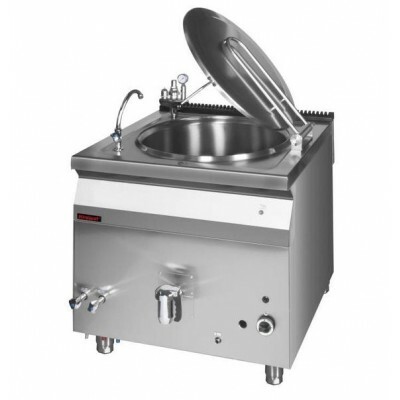 Gas Boiling Pan with capacity of 300 litres, indirect heat. Heat in this boiling pan is created by high pressure steam generated in installed evaporator inside. As a result, steam is heating up the whole volume of the boiler not just a bottom. This technique makes our boiling pans perfect for cooking jams, soups, chutneys or just simply water. Reaching the boiling point - 80-90min.